What does an Anishinabe-Kwe do when she has no bread in her cupboard? She makes oven scone. What goes with warm oven scone? 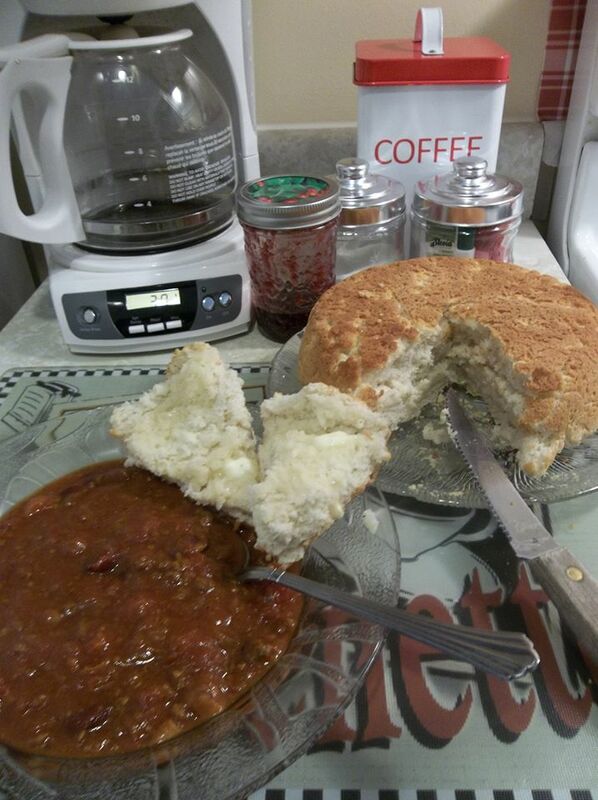 Homemade Chili… Scone & Chili!.. Well the weather here would certainly make for that to be a fine meal. Only one thing wrong is all that read this post do not get a sample, oh alass.